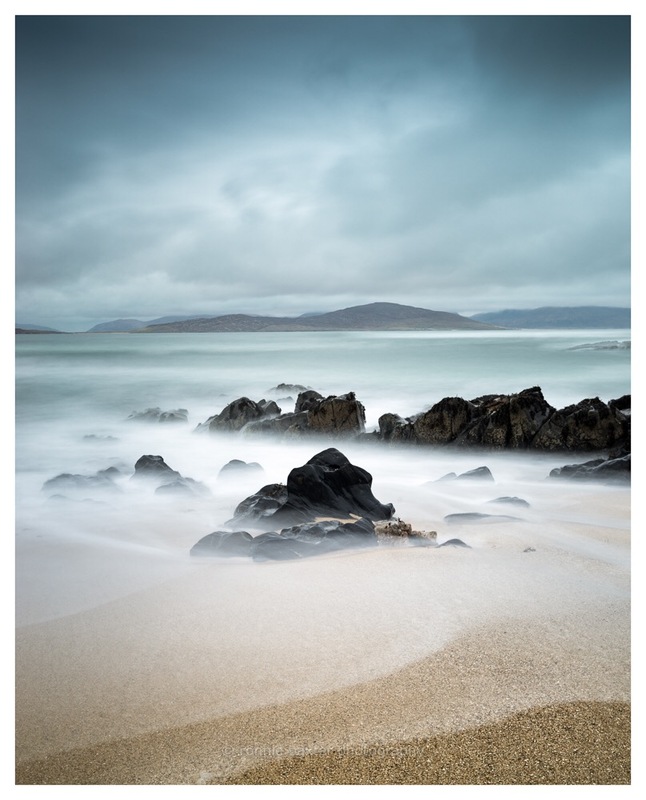 I had the absolute luxury of running a 1:1 workshop on the Isle of Harris recently – an island in the Outer Hebrides on the West coast of Scotland that should be visited at least once by everyone and yes, you must take a camera. The landscape is a photographers dream with a coastline and beaches you will simply fall in love with. The colours – even on a dull day – are sublime and the water really is tourquoise as it laps (or crashes) onto the silver sands with barely a footprint to be seen on the huge, largely empty and unspoilt bays. Travel to Harris – if going by land – is not a short journey, involving a ferry from Skye or Ulapool. You will drive through some spectacular countryside and once there the very quirky coastal roads will amuse and perhaps frustrate you – be patient, slow down and embrace the gentle pace – Harris, for me anyway, is a spiritual, tranquil and calming location. Sure the weather can be wild and unpredictable, but isn’t that part of its charm and a factor in the ever changing light – one minute dark and foreboding, the next moment golden as it falls across the contours of the land. Just go – you won’t be disappointed. Oi! Don’t You Understand Copyright? Photocircle – buy art prints and help support worthwhile causes around the world. Ronnie Baxter > photographer Blog at WordPress.com.